Jason Velez poses next to his custom built Dodge Ram 2500. 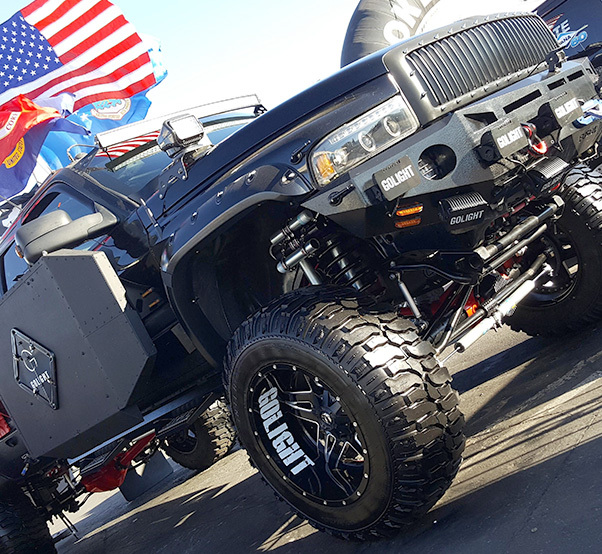 Velez, a retired Airman, who served multiple tours in Iraq, rebuilt the truck to resemble a vehicle halfway between a personal vehicle and tactical military vehicle. Velez hopes the hybrid vehicle will help other veterans transition from military to civilian life. Receiving an invitation to SEMA is a rare honor Velez said, especially given he built the truck on his own from his driveway, without the luxury of a large team of builders, which is usually the case for any vehicle presented at SEMA. 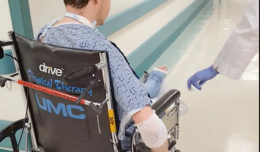 Velez said the journey getting to SEMA, however, has been a life changing event, helping him heal from PTSD after a 21-year military career and the death of a young security forces lieutenant Velez worked with during his final tour. 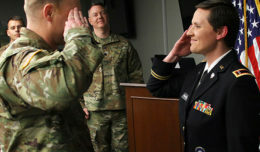 Following his return home, Velez was counseled to begin a project to help him cope with the impact of numerous combat tours, so he set about restoring his truck. “What started as a self-therapy tool became a crusade for me to develop improvements to the tactical vehicle designs of my old fleet,” Velez said. Jason Velez’s custom built Dodge Ram 2500. 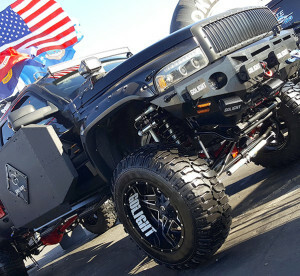 Velez, a retired Airman, served multiple tours in Iraq, rebuilt the truck to resemble a vehicle halfway between a personal vehicle and tactical military vehicle. 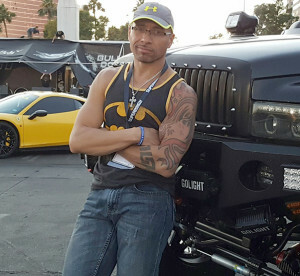 He started getting sponsorships and was invited to SEMA with Golight Company as his sponsor, which meant he only had a few months to get his truck ready for the show. Velez began working harder than he had since being home from Iraq, working late into the night of his work week and 16 to 18-hour work days on the weekend trying to get his truck finished in time.